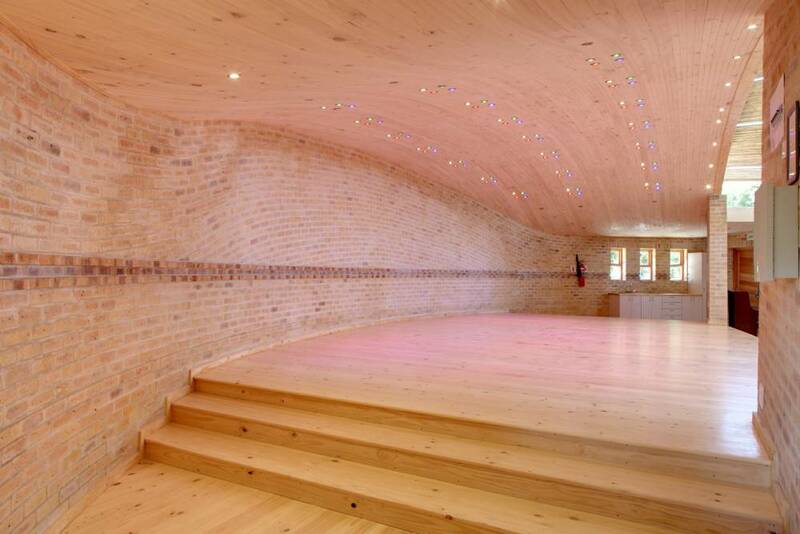 A double curved face brick wall mirrors the Constantia Waldorf School’s dance and primary school hall. 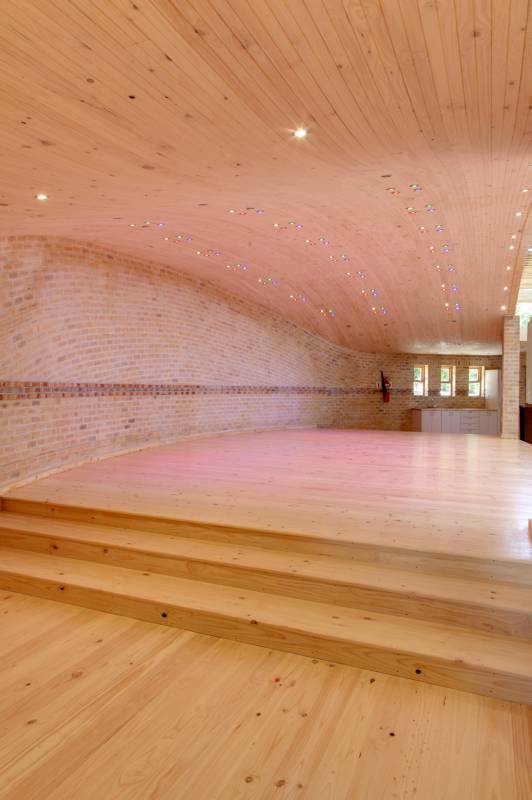 The elegant creation of the Constantia Waldorf School’s dance and primary school hall perfectly displays the incredibly diverse nature of clay face brick – where a simple solid building block can be artfully constructed into a seemingly flowing structure, cleverly mirroring form with function and mood. 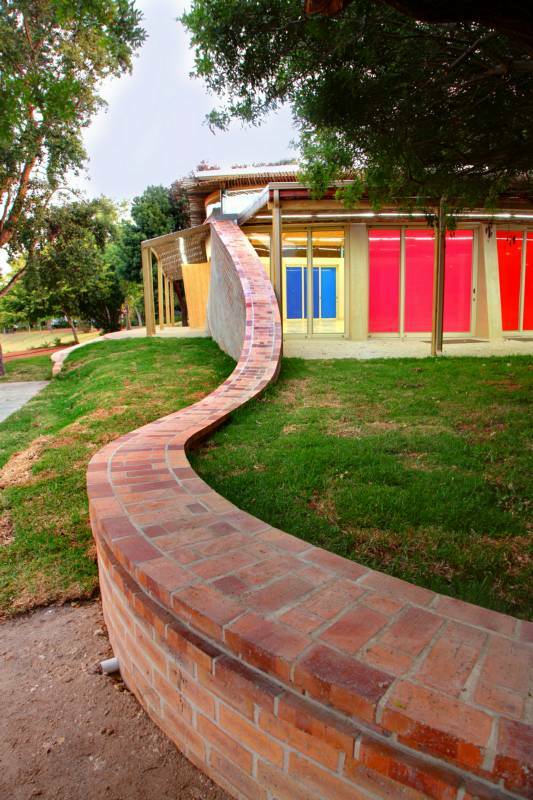 The bricks are used in a completely unique way to conventional practice and are a first, leading to sculptural brick work never before seen. 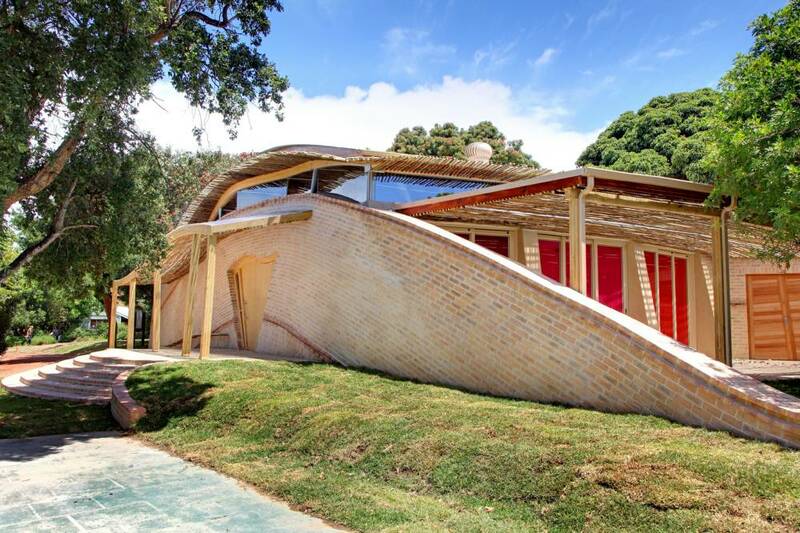 The brick coursing consistently deviates from the horizontal, waving up and down and simultaneously off vertical in places to match the curving roof profiles and elsewhere to match the helix beam carrying the floating roof. 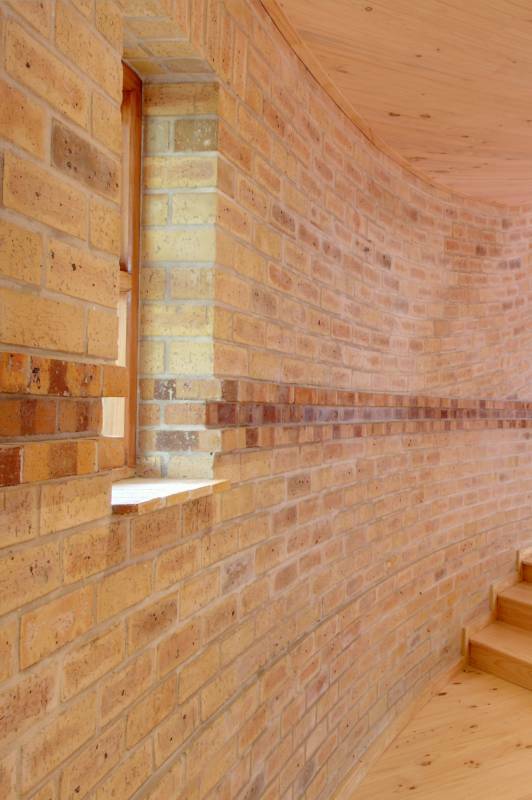 Here each brick course is in the pattern of a helix, allowing for the warping of surfaces in certain places, with single and double curves in other areas. This particular design required unique templates and bricklaying techniques to achieve this elevated level of brick craftsmanship. 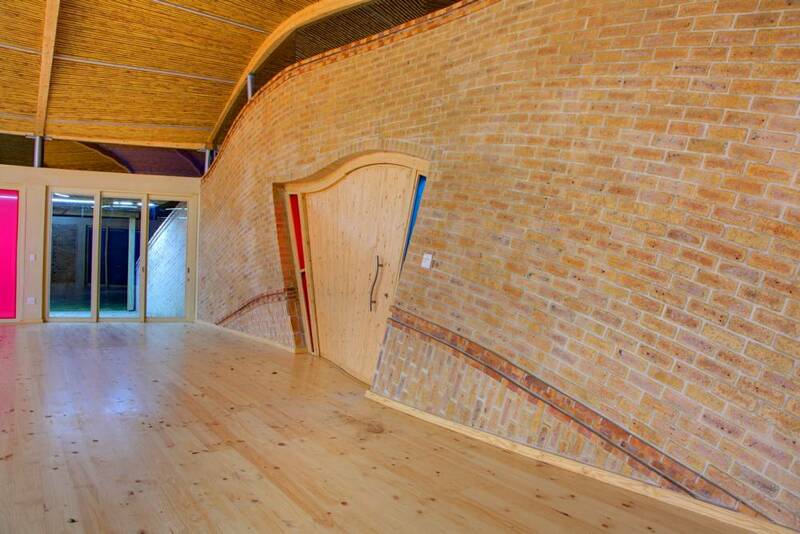 The twisting wooden door is, itself, a warped surface built into this plane of undulating walls. 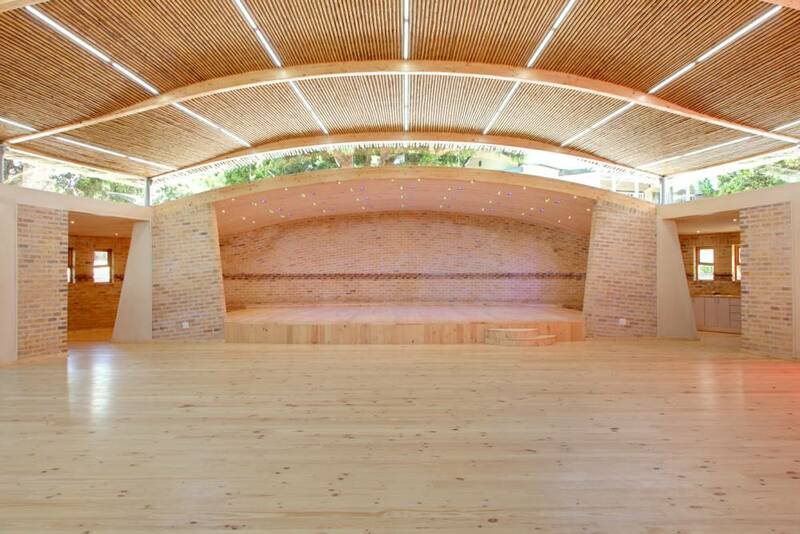 The 250m2 building, which took nine months to construct, was designed by Cape Town-based firm, Natural Architecture, with a view to create a school hall that eloquently expresses the Waldorf School ethos of nurturing creativity, individuality and originality. 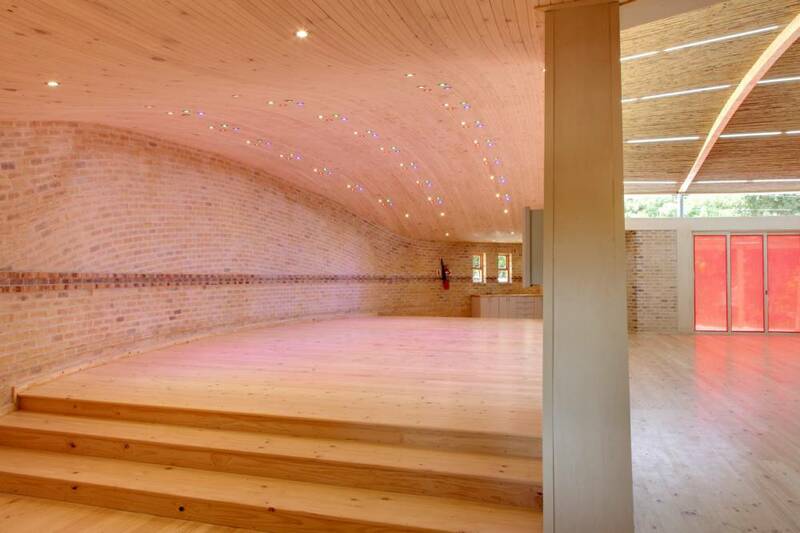 Every aspect of this intricate brickwork was generated from numerous 3D computer drawings with each inch of the hall carefully calculated. On-site workers had to meticulously cut hundreds of bricks individually – positioning the brick in place, marking it, cutting it and then building it in. This required accurate cutting of every brick, with some being feathered into wedge shapes to work around horizontal plinths or columns. 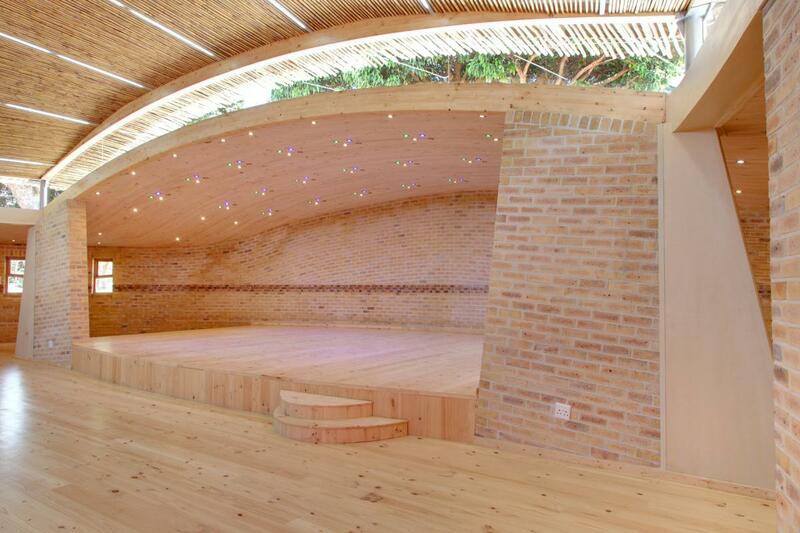 To complete the school hall, 16 000 of Corobrik’s Meadow pavers were used on the building’s exterior, breaking up the vertical proportion of the walls while adding a decorative line. This visually supports the eye, allowing identification of the flow of surfaces above and below the corbel. The pavers’ slightly deeper shade also added variation to the wall surfaces.